This is your chance to own one of Evergreen's premier properties! Perched at the top of Saddleback mountain sits this amazing home with unobstructed jaw dropping views on 5 acres. 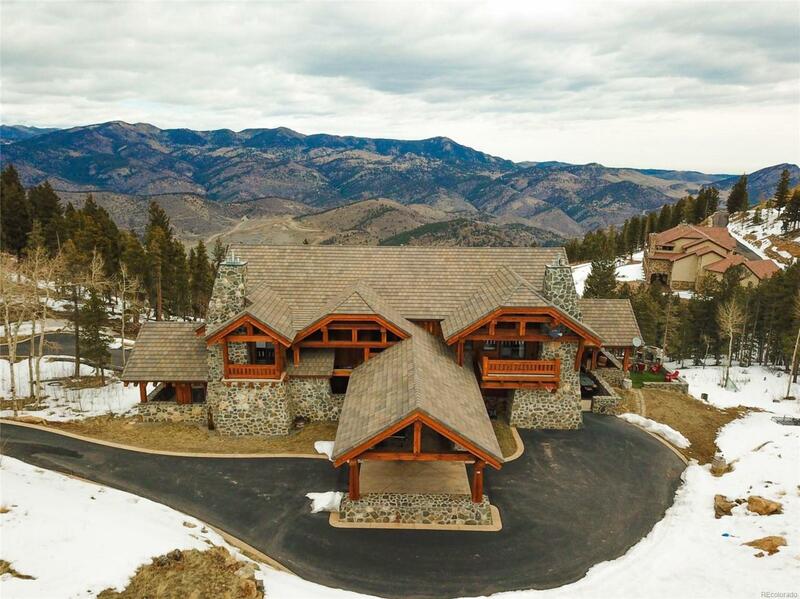 10,500 sqft of impeccable Colorado inspired finishes including soaring wood beam ceilings, double thick granite and stone, gleaming wide plank wood floors. 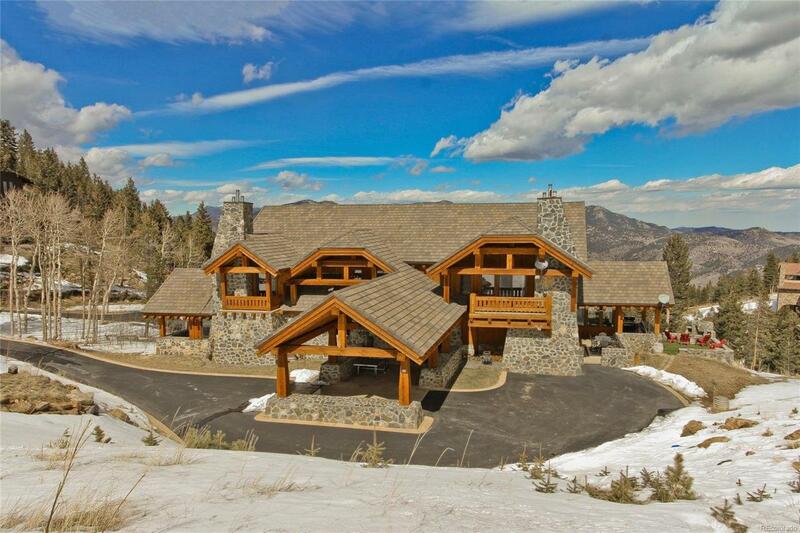 Grand main floor master retreat with 2 private decks, laundry room, 5 piece bath with walk-in grotto shower. Three bedrooms upstairs appointed with en suite baths, fireplaces and private decks, along with secondary laundry room. Upper level fitness room could easily be used as a 4th bedroom. Gourmet chef's kitchen with 2 sub zero refrigerators and premium appliances. Huge garage for the ultimate car enthusiast. Entertain in the lower level equipped with wine cellar, game room, wet bar & home cinema. 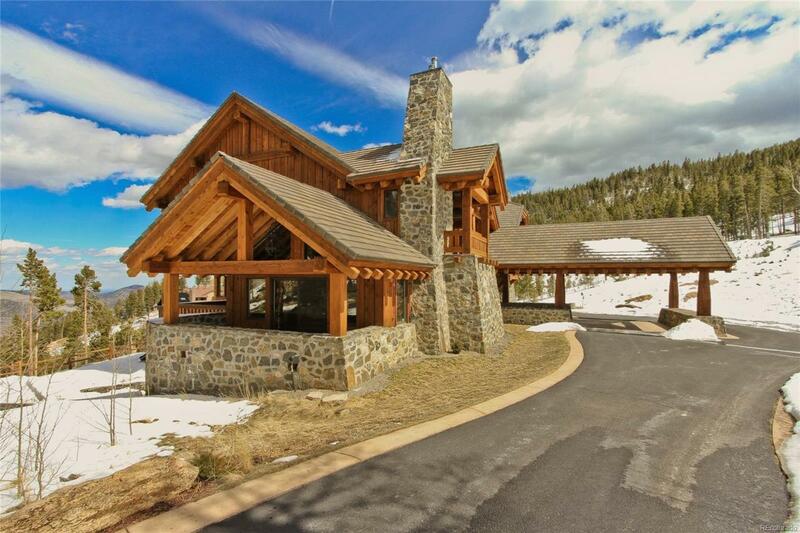 The gated enclave of homes known as The Grand Preserve is located just 10 minutes up from the Floyd Hill exit on I-70. Be sure to check out the virtual tour!